It was then and there when I fell in love. How can you not appreciate the entrepreneurial spirit of friends who simply wanted a small little place to call their own? 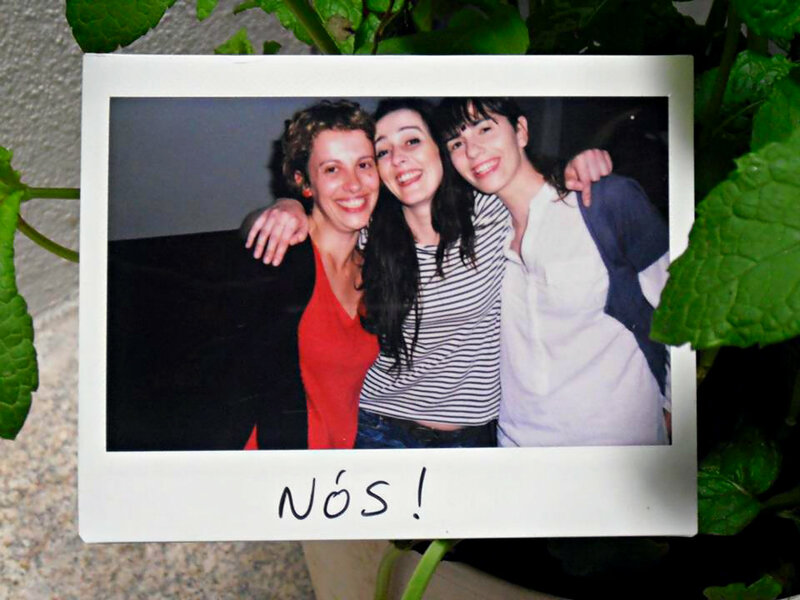 Three female friends who were moved from a career in teaching to gastronomy. And to boot, they kicked off the project during an economic crisis when the youth of Porto were hightailing out of Portugal in search of work. They stayed to add their own personal panache to the city. Plus, the bar was cozy, radiating with the warm glow of happy patrons as they bantered on about their lives, the soft clinking of glasses, the aroma of alheira. Focused on petiscos (Portuguese tapas), the Taberna featured ingredients streaming in from across the country including cured São Jorge cheese from the Azores, bolo de mel (insanely delicious honey cake) from Madeira, sausages from the Minho, Estupeta de Atum (salted tuna) from the Algarve, just to name a few. The selection is all hand picked, and is accompanied by 50+ wines from across Portugal, including Espumantes (sparkling wines) from Bairrada. 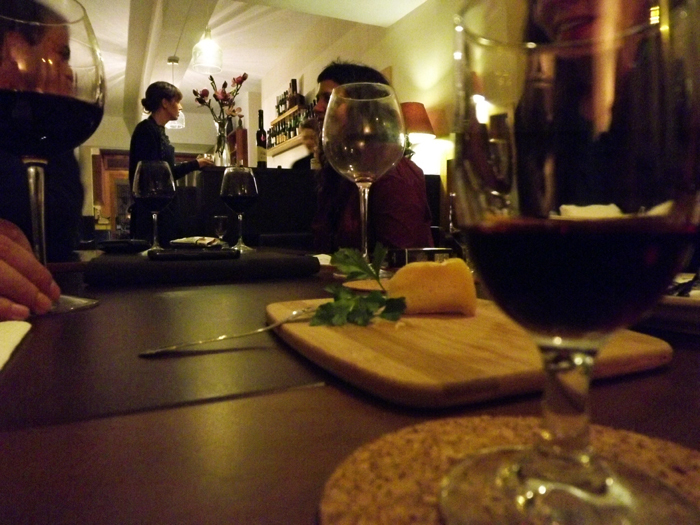 They also feature liqueurs from Elvas, Moscatel from Favaios, and my personal favorite, Ginjinha from Óbidos. When I left that evening, I promised myself I’d rush home to write up an article, but life took a sharp turn. A few weeks later, I found myself standing outside my Porto flat waiting for a lift to the hospital, occasionally leaning against the stone wall in agony. My left leg was three times the size of my right and my lower back felt like a dagger was perpetually stabbing me. As I repositioned my 7 month pregnant body against a smoother stone surface, tears streamed down my cheeks and pooled under my chin. It was all too emotional, too painful, too overwhelming. The weeks that followed were filled with anger and desperation. I was placed on bed rest, prescribed medication that had to be injected into my belly twice a day and fought with my compression stockings that amped my body temperature to volcanic levels as summer ramped into full swing. Doctor’s appointments became a blur as I not only struggled with my Portuguese medical terminology (or basic sentences), but weighed my birthing options to ensure that the clot wouldn’t break loose or that I would hemorrhage on the table. Admittedly, it wasn’t the summer of my dreams. The irony of the story? About the exact same time I had contracted my blood clot, Teresa – yes, the very same woman from Taberna do Largo – had not only contracted hers, but died a short while later. The only difference between us…I somehow escaped death’s door. I’m proud to say that Sofia and Joana have bravely carried on, which couldn’t have been easy. Teresa was in her own right the glue that bound them together, and now that the adhesive has dissolved, they’ve been forced to recreate not only who they are but what Taberna do Largo is. This, my friends, is a courageous task, and one I have the utmost respect for. For obvious reasons, I have an enormous affinity for Taberna do Largo. Death has a powerful way of pushing us to live and my hat goes off to both Sofia and Joana for choosing to keep Taberna do Largo alive. It’s a place with soul, a place that provokes a conversation over a late night bottle of wine, a place with spice and flavor. Do me a favor, visit. Have a glass of wine, hear some live music, savor an assortment of cured meats and cheeses and bask in a soulful experience. Life is short, savor every single moment.